Sharon S. Millians represents clients in transactions in all areas of real estate ownership, real estate-based financing, and development of various real estate products, including office, hotel, resort, retail, ranch land, industrial and multi family uses. She also has represented various clients in the acquisition of millions of dollars of troubled asset portfolios consisting of real estate, loans, and other assets. Additionally Ms. Millians’ practice includes representation of clients in the acquisition of technology, as well as in commercial contract matters, including strategic alliances and licensing and technology agreements. Ms. Millians has been a member of the firm's Executive Committee since 1998. U.S. News and World Reports has included Ms. Millians on The Best Lawyers in America® ranking every year since 1992. From 2003 through 2018, she was named a Texas Super Lawyer which is a list published in Texas Monthly magazine by Thomson Reuters. She has been recognized as one of the Top 50 Women Texas Super Lawyers and Top 100 Super Lawyers in the Dallas/Fort Worth region. Ms. Millians was also voted by his peers as among the city’s best attorneys in polls conducted by Fort Worth, Texas magazine and 360 West. She has also been recognized on the national level by being elected to the American College of Real Estate Lawyers, the premier national organization of distinguished real estate practitioners and scholars. 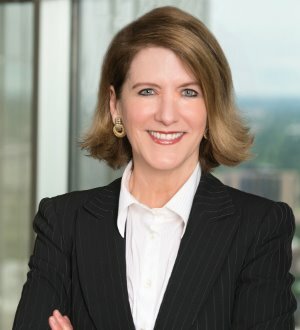 She is a member of the State Bar of Texas, the American Bar Association, the Tarrant County Women’s Bar Association, and a Sustaining Life Fellow of the Texas Bar Foundation. In addition to her professional career, Ms. Millians serves on the board of directors for a number of nonprofit organizations, including the Women's Center of Tarrant County. She is Immediate Past Chair of the Fellows of the Texas Bar Foundation and she previously served on the Board of Directors of the Child Study Center and on the board of the Chiapas Project, a global microfinance initiative to support women in poverty.